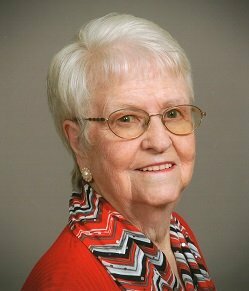 Elsie Blackley Suppes, 91, passed away Monday morning surrounded by her loving family. She was born in Wake County to the late Julius Samuel Blackley and Gladys Bunn Blackley. She worked for 22 years at Westinghouse as an Electric Meter Assembler. Elsie was very well known in the Hopkins Community for her famous red velvet cakes and fresh vegetables. She was a lifelong member of Hopkins Chapel Baptist Church in the Ruth Gay and Friendship Sunday School Classes. She was also the weekly driver to Hardee’s in Zebulon and the grocery store for her many friends on Thursdays. In addition to her parents, Elsie was preceded in death by her husband and the father of her children Arthur Franklin Pearce, infant child Chris Anthony Pearce, husbands Jesse Earp and George Suppes, sisters Lillian Pearce, Estelle Baker, Tillie Puryear, Florence Blackley, and brothers Lawrence and Wilbur Blackley. Funeral service, 12pm, Wednesday at Hopkins Chapel Baptist Church with Visitation 10-11:45am prior to the service. Burial will follow in the church cemetery. A special thank you to all the nurses, caregivers, and staff with Heartland Hospice Care. Flowers or memorial contributions may be made to Hopkins Chapel Baptist Church at 4525 Hopkins Chapel Rd. Zebulon, NC 27597 or Heartland Hospice Care at 4505 Falls of Neuse Rd. Raleigh, NC 27609. Funeral arrangements are with Strickland Funeral Home, 211 W. Third St., Wendell. Heaven got a special angel this morning . I know you are happy and having a great time. Our hearts are broken but you aren’t in pain anymore and completely well. I was very proud to have you as my Stepmother and will miss you dearly but look forward to seeing you again! I am so sorry for the families loss, may God comfort and surround you in the coming days, months and years. Love the smile she always seemed to wear. Love to you cousins.